You’ve seen them zipping down streets, sidewalks, ramps and alleyways. You’ve heard their notable chime when somebody hops on. E-scooters, Birds, Limes — whatever you want to call them — electric scooters have taken U.S. cities by storm. The green and black-clad scooters, which are now a multi-national, multi-million dollar industry, provide a means of transportation for anybody who is willing to download an app and pay a small fee. But as the popularity of scooters increases, so too do issues of scooter etiquette, safety and accessibility. 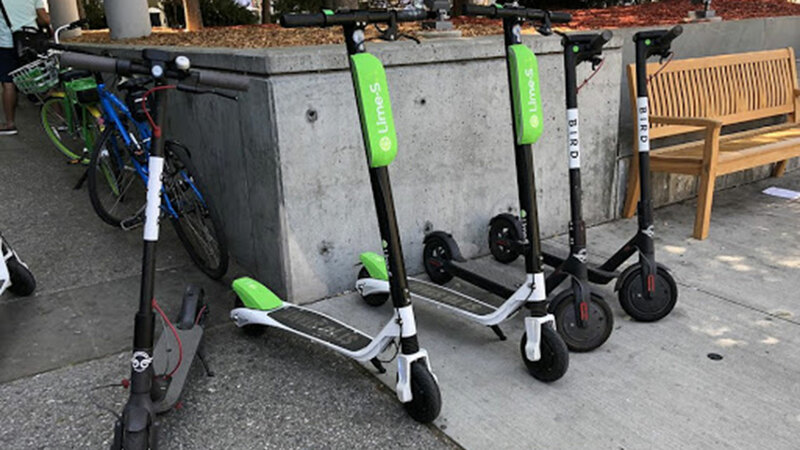 At just 15 cents per mile — around $10 per hour — Bird and Lime scooters fulfill the student need for cheap and quick transportation around campus. While Wolfline buses run every 15 minutes, an e-scooter is practically always available for use. They are satisfying a need. While scooters do fulfill some needs of those living in the city, some are saying the scooters have become a nuisance, and even a hazard, to those using pedestrian walkways. This month, a paraplegic woman from California filed a class action lawsuit against Bird scooters for discriminating against the disabled. Mia Labowitz, who uses a specially equipped wheelchair to get around, claims that Bird scooters take up public space on sidewalks, curb ramps and pedestrian crossings, especially when left scattered about and lying on their sides. Follow the established rules of the road. Do not block pedestrian walkways once finished with a bike or scooter. Whichever side of the scooter debate you fall in, please be aware of safe and inclusive practices if you use one. Make space, drive safely and park your scooter courteously. Avoid blocking pedestrian crossings or accessibility ramps when. What is a joyride for one can be a major hindrance for another. Leah Block is a senior majoring in communication with a minor in sociology and a communications intern in the Office for Institutional Equity and Diversity.